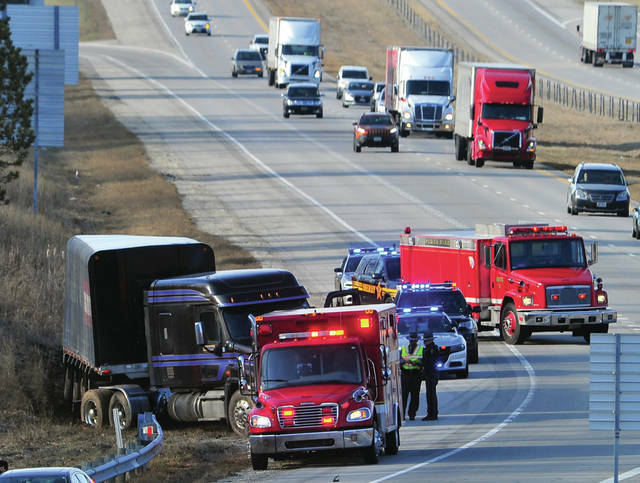 https://www.tdn-net.com/wp-content/uploads/sites/21/2019/03/web1_032719mju_crash_i75.jpgMike Ullery | Miami Valley Today First Responders work at the scene of a semi crash on southbound I-75 at the 82 mile marker on Wednesday afternoon. It is believed that the truck driver suffered a medical condition before crashing off the right side of the road. He was transported to Upper Valley Medical Center by Piqua Fire Department medics.